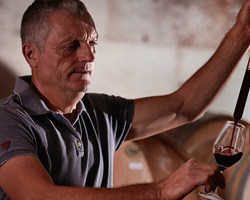 2016 marked Jean-Paul Jamet’s 40th vintage at the family domaine above Ampuis in Côte-Rôtie. Jean-Paul was instrumental in moving the northern Rhône from subsistence farming towards being one of the greatest wine regions in the world. As one of the first to bottle their own wines and focus on quality, Jamet has remained staunchly traditional in a changing era of ripe, heavily oaked wines. Loïc Jamet, the next generation, is taking over the winemaking duties but don’t expect much difference – tradition runs deep. The Jamet’s produce long-ageing, whole-bunch Syrahs which remain profound and authentic renditions of the Côte-Rôtie, or ‘roasted slopes’. 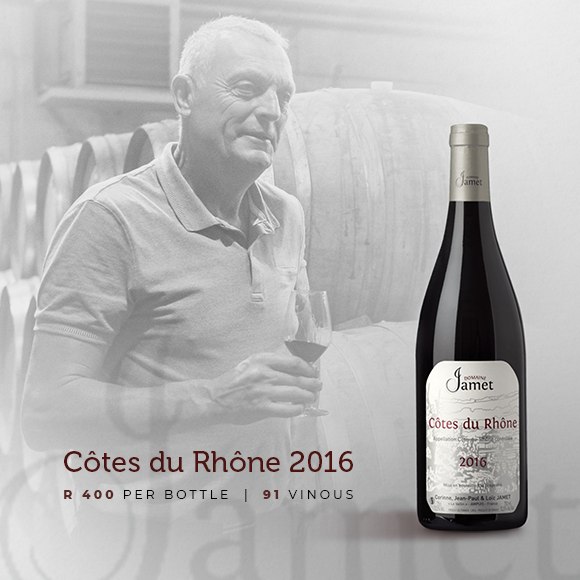 Today, we offer the incredibly good value Jamet Côtes du Rhône 2016 – an assemblage from parcels located on the upper slopes of the Ampuis commune. 100% Syrah, it’s elegant, perfumed, visceral and delicious! There are only 10 cases available. The Jamet Côte-Rôtie sells out on release so please ask to be on the distribution list. 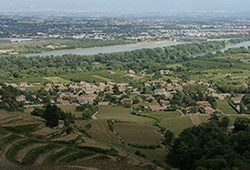 For those who love classically styled northern Rhônes, we also suggest you consider Domaine Verzier. The new generation winemaker, Maxime Verzier, is a good friend of Loïc’s and his wines have an uncanny stylistic similarity. 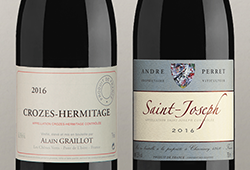 The Saint-Josephs are very Côte-Rôtie-like, perfumed and spicy, and offer fine value. If you ask the Wine Cellar team which Rhônes they drink most often, the answer will be Jamet and Verzier!